I love Twitter. But it's a noisy place! I'd be lost without my Twitter lists. I follow more than 145k people on Twitter, and lists are pretty much the only thing I have for cutting through the noise. The cool thing is you don't need to create Twitter lists to benefit from them. Instead, you can just find & subscribe to ones you like. But how do you find lists in areas that interest you most? That's what this blog post is about! 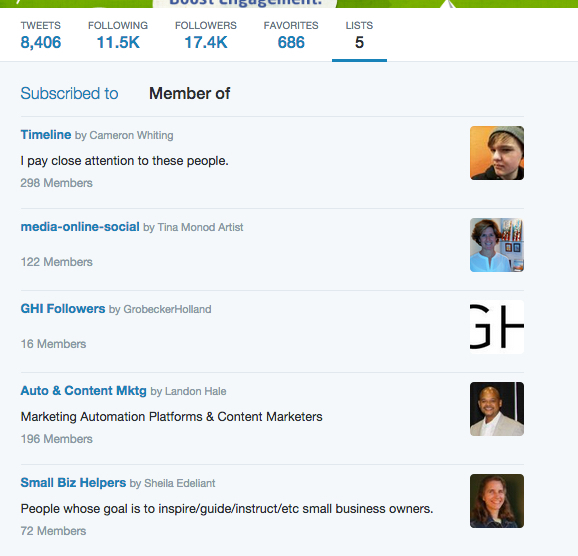 I'll share the 3 best ways I know to find Twitter lists. And if you follow my advice, you'll be following & interacting with the most important people in your industry in no time! 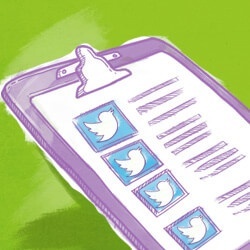 The first method involves visiting somebody's Twitter profile. 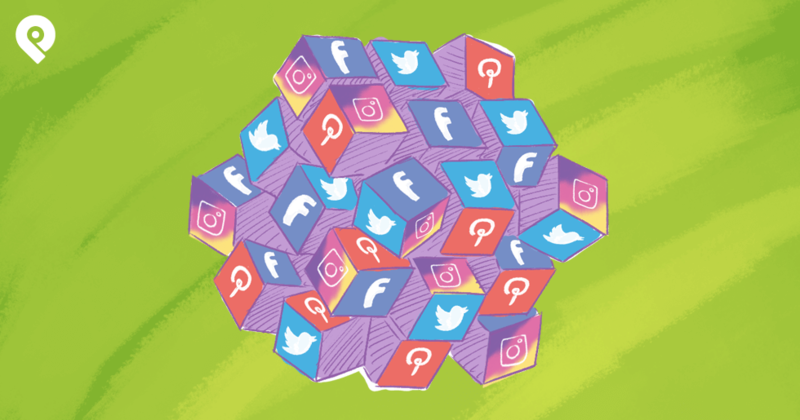 Maybe it's an industry influencer you want to get close to. Or one of your competitors! When you get to the profile, click "Lists". If you don’t see anything when you visit the lists section of the profile, it means they probably haven't created or subscribed to any Twitter lists. Or maybe their list activity is "Private". 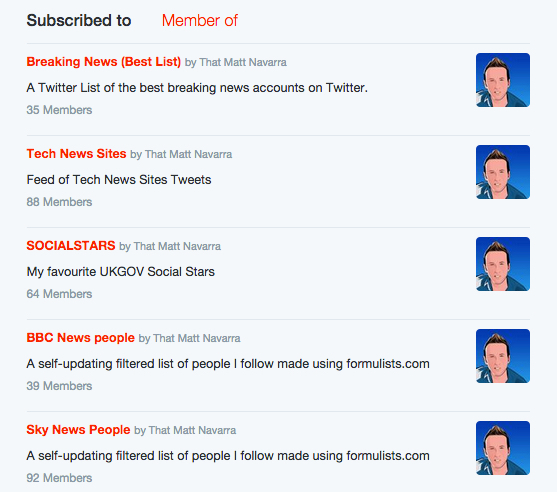 You can also use this section of the profile to find out if they're a member of any public Twitter lists. 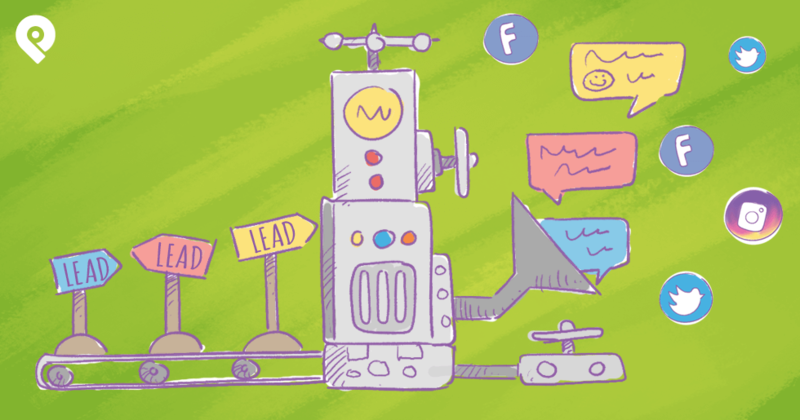 Viewing the Twitter lists your favorite industry influencers belong to is one of the fastest ways to find new people to follow & talk to. 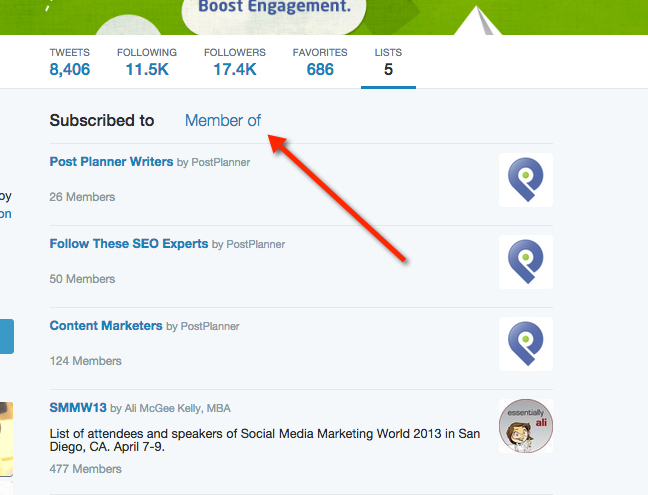 For this tip, just look at the lists someone's been added to -- not the lists they've created. 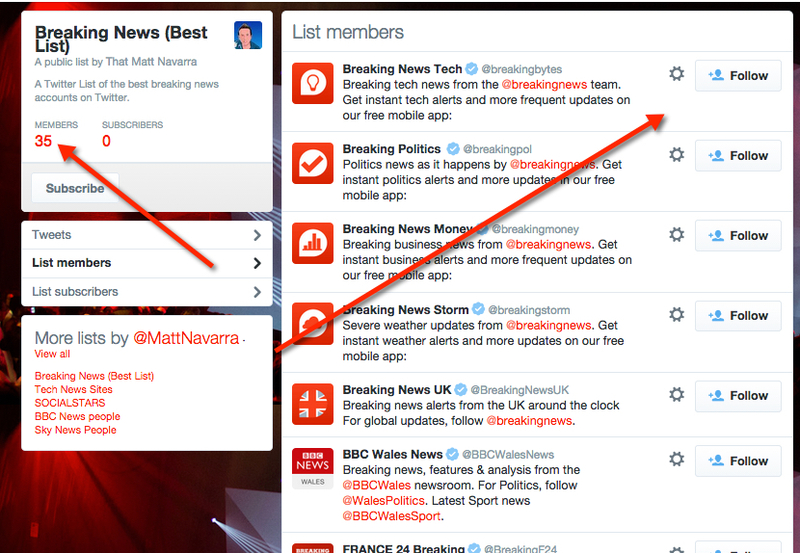 Visit a Twitter profile & click "Lists". Then click "Member of" to see if they belong to any lists. 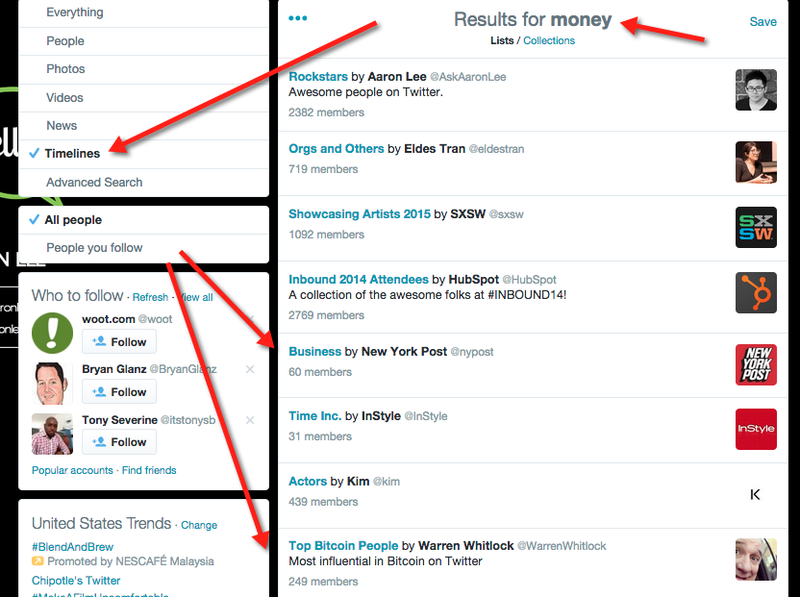 This might be my favorite way to find great Twitter lists that interest me the most! I just search for 'em! I enter a keyword into the search bar & click Timelines when I see the results. 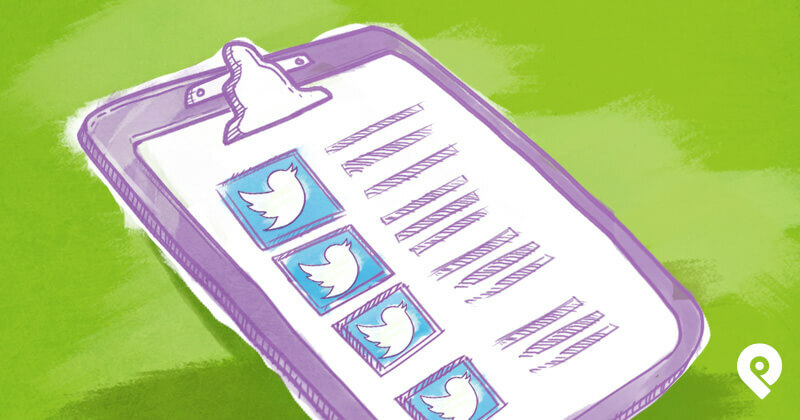 Now that you're using Twitter lists like a PRO -- ready for the next step? Grab your copy of our free infographic below and start watching the retweets roll in!